- Auburn has won its last three meetings against LSU. - LSU is 8-3-1 ATS in its last 12 games. - The total has gone over in two of the last three Auburn-LSU meetings. - The total has gone over in 10 of the last 13 LSU games. Samir Doughty once played for Will Wade at VCU. Today, the Auburn guard will go up against the LSU head coach in a key SEC game in Baton Rouge (1 p.m., ESPN2). 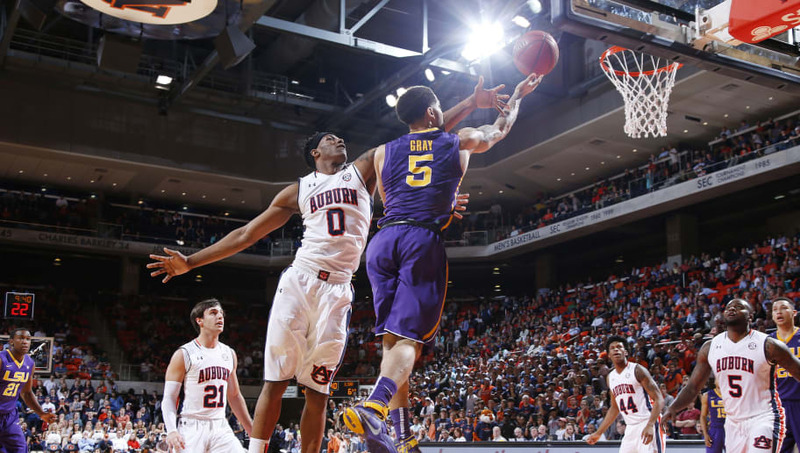 All Auburn-LSU betting odds, lines and props are available on FanDuel Sportsbook. - Home Team (LSU) Total Points: Over 81 (-115) – We should see plenty of points on the board today as both teams round out the Top 10 for points scored per game in the nation with LSU at No. 9 and Auburn at No. 10. LSU will look to break its three-game losing streak against Auburn and should have a much better chance to do so at home, where the Tigers own an 11-1 record. Not to mention, LSU is averaging 86.1 points per game at home, as opposed to 80.1 on the road.